Hi Peter,how are you doing, i hope good. i had written to you about a month ago about a vase i have, and i got a nice reply from you too, thanks for that. i also have some statuettes that i would like you to kindly assess I will be very grateful if you could assess them and let me have a very rough estimate of the age of the pieces, thanks again, gratefully, Rekha Sharma. 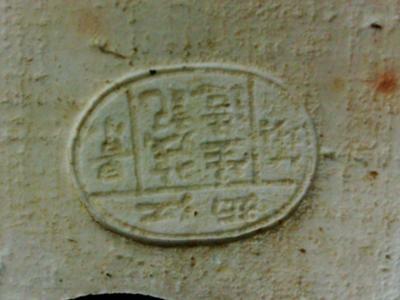 The mark says Made by Mao Ji sheng (Jiangxi). Mao Ji Sheng made figurines (Buddha figurines) in the early republic.